I've been using NEW! Solid Shampoo Bar for about three weeks now and I'm pretty happy with it. My hair feels nice and clean and it doesn't dry my hair out. It lathers really well too into a soft bubbly cream. It says it will help your hair grow but I don't really notice any difference when it comes to the growth rate of my hair but my scalp does feel a lot better and is less flaky then it was. It has Cinnamon, Clove, and Peppermint oil in it that I thought would make it feel tingly on my scalp but it doesn't because it has these three ingredients it does have a strange smell. Its really spicy and almost medicinal smelling. When I first started using it I didn't think I would be able to like it because of its odd smell but the scent really grows on you and it is easily covered up with a conditioner so that's a big plus! This really helps make my hair shine too. I have noticed that when I'm rinsing this out of my hair it becomes really tangled and I have to apply conditioner in order to get it untangled. This isn't a horrible downfall of the product but maybe I'm just using too much. This is also really easy to apply its shape helps a lot making it easy to hold on to. I swipe this across the top of my head 2-3 times and then through the rest and then lather up. 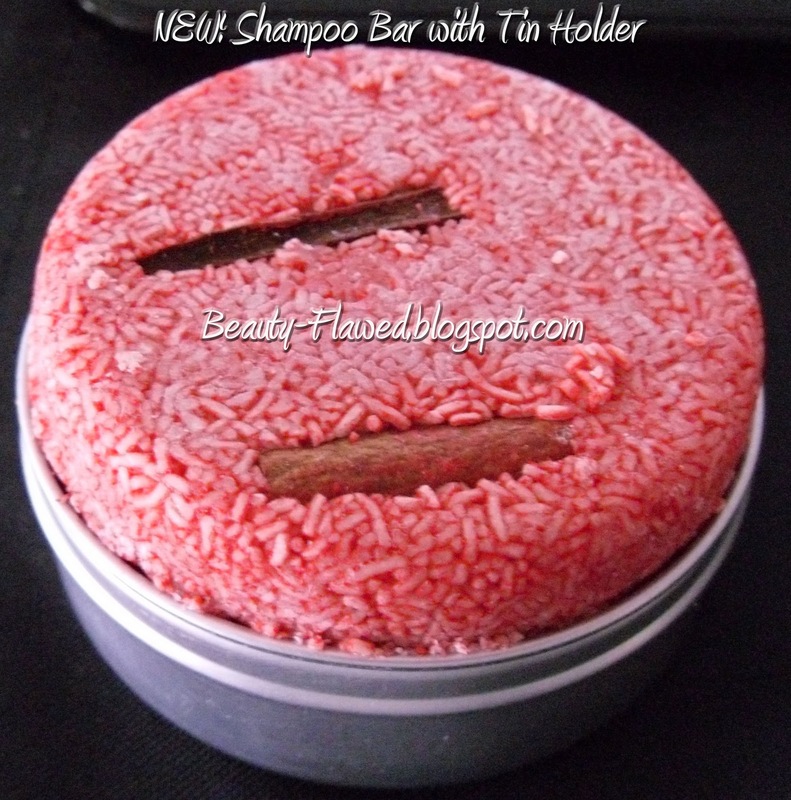 I have the Shampoo Bar Tin and it doesn't actually fit into until you have used it one or two times. I don't recommend keeping the tin in the shower, I did that with mine and it started to rust almost and turn this funny brownish color on the outside. Ingredients: Sodium Lauryl Sulfate, Glycerine, Nettle Infusion (Urtica dioica), Peppermint Infusion (Mentha piperita), Nettle Absolute (Urtica dioica) Rosemary Absolute (Rosmarinus officinalis), Rosemary Absolute, Bay Oil (Laurus nobilis), Clove Bud Oil (Eugenia caryophyllus), Cinnamon Leaf Oil (Cinnamomum cassia), *Cinnamal, *Eugenol, *Benzyl Benzoate, *Limonene, *Linalool, D&C Red 30, Cinnamon Sticks (Cinnamomum cassia). I would buy NEW! again I really like how my hair looks and feels after using it. I think it would also be great if you have dry or itchy scalp. Ive heard really good things about Godiva I'll have to give it try!